Vermicompost is very important for organic farming. Vermicomposting can be done for self use, alternate income or commercial purpose. Here is the complete details of vermicompost preparation process. Farmers’ best friend, earthworm has been existent at least since the past 20 million years. Needless to say, they have been faithfully releasing the organic nutrients from the dead tissues back into the soil and thus making it available to the living organisms. They have an important roll in organic farming. Earthworms feed on the decaying organic matter and survive in soil. During digestion in the alimentary canal, all the organic waste gets transformed into natural fertilizer. The pH is neutral and it is an odorless organic matter. After digestion, the undigested food is excreted. There is a thin oily layer on the excreted material or casting which takes as much as two months to erode. In other words, the castings that are rich in plant nutrients are made available gradually since they are released slowly into the soil. Hence they last longer. These castings also contain microbes and hence the process of decomposition is continued through microbial action outside the body of the earthworms. Biologically, it is defined as the process of turning organic debris into worm castings that play a crucial role in increasing the fertility of soil. These castings contain seven times more potash, five times more nitrogen and 1.5 times more calcium than what is found in the topsoil. In addition they have better moisture retention capacity, aeration, porosity and structure than the topsoil. The water absorption capacity of the soil is enhanced thanks to the burrowing action of the earthworm, and the organic content in the castings. Research has shown the castings to hold nine times their weight in water. 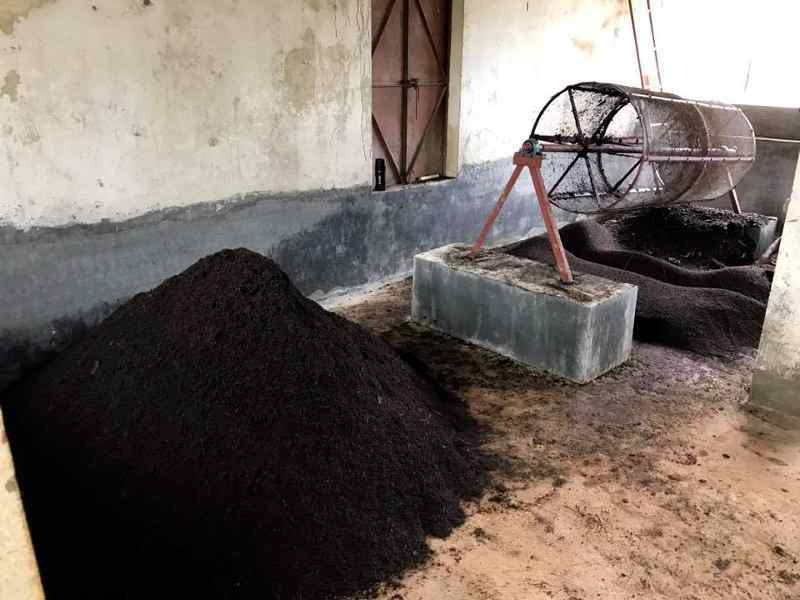 The main objective of vermicompost is to produce organic manure of exceptional quality for the organically starved soil. Agricultural wastes, wastes from dairy and animal farms are usually dumped into at places resulting in a foul mess. By vermicomposting these wastes, they are not only utilized efficiently but also help in making a value-added product. Study of earthworms was pioneered by Charles Darwin. Taking the cue, Barrett and George Oliver carried out an extensive study and demonstrated the benefits of earthworms in agriculture. Batter was the first person to grow earthworms on a commercial scale. Totally there are 386 different varieties of earthworms that have been identified that are broadly classified into 3 categories, viz. epigeic, endogeic and diageic. This classification is based on their feeding habits, habitat in soil strata, response to the soil conditions and defecation activities. Thriving on soil surface, they convert the organic waste into humus very quickly. They have a high metabolic activity but it lasts only for a limited period. They need a huge amount of organic content as a part of their feed. Although they have a short life span, their rate of reproduction is very high. Some of the commercially grown species belonging to this group are Eisenia foetida, Eudrilus euginae, Perionyx excavatus, Lumbricus rubellus and P.arborjcola. Species belonging to this category live just below the topsoil surface where mineralized aluminum oxide, iron oxide and clay occur. They burrow into the soil making tunnels horizontally as well as obliquely thus increasing the aeration. They feed on organic matter that are undergoing degradation at different levels. They improve the soil texture and structure. Diageic worms make permanent burrows and are deep dwelling in the soil. The organic litter is collected from the soil surface and stored in the burrows which are fed upon by the earthworms. The excrements are disposed on the outside of the burrows. Thus these are worms help in mixing the surface organic matter into the sub-terranian soil. They also help loosen the soil. The most essential production requirements in vermicomposting are the base material and the right species of earthworm. Poultry droppings being high in nitrogen must be added in small quantities. Hotel refuse and organic wastes from agro or food industries can be also included in the compost material as feed for earthworms. There are more than 2500 earthworm species in the world. They are diverse in nature and it is recommended to use the locally available variety since it is indigenous to the place and is naturally adapted to the particular geographical location. For commercial vermicompost project there are specific earthworm species available like Eisenia foetida, Perionyx excavatus, Eudrilus eugeniae, etc. Eisenia foetida, also called Red earthworm has a high rate of multiplication. It converts the organic materials from the top, that is, it is a surface feeder. Conversion of organic matter into compost is done within 45-50 days. High Rate of Absorbency: The worms breathe through their skins and they die if the skin dries. Hence one of the most important requirements of the bedding is that it must absorb and retain enough water. This ensures a moist environment for the worms. Packing: The bedding must not packed too tightly as it would affect the aeration and temperature. Oxygen is important for the survival of earthworms. Hence texture, shape, strength, rigidity and size of the structure must be maintained at optimum to ensure good bulking potential for the earthworms. Carbon – Nitrogen Ratio: The breaking down of the bedding and its consumption by the earthworms must be a slow process. This is because the breakdown of the matter results in accumulation of protein and nitrogen. This leads to fatal living conditions and an increase in temperature. Apart from the bedding, the worms must be protected from rain and sunlight. They must be sheltered adequately. Generally basements, backyards or empty poultry sheds are used for this purpose. Some people construct cement tanks for preliminary decomposition. There are different methods of vermicomposting. However, the bed and pit method are the most commonly followed among them. In the bed method, a bed of organic mixture is made on the floor. The dimensions of the bed are 6ft * 2ft * 2ft. It is an easy to practice and maintain method. 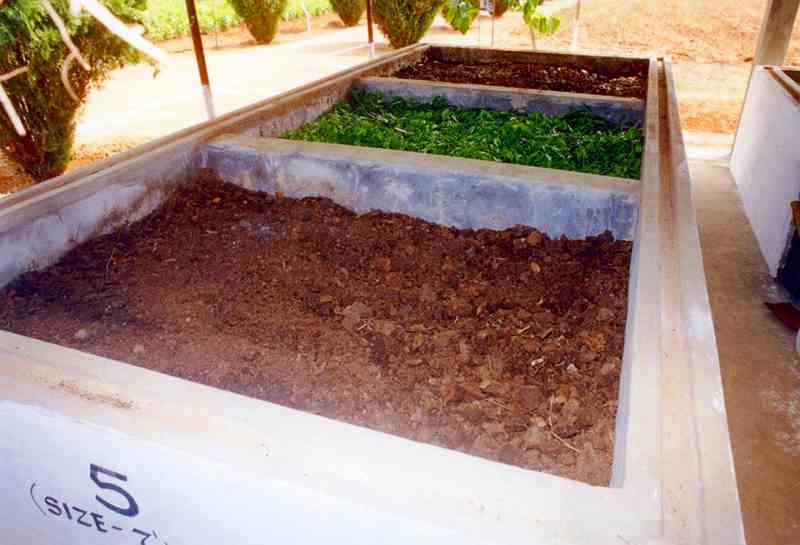 In the pit method, cemented pits of 5ft * 5ft * 3ft are used for composting. They are covered with local materials like thatched grass, dry leaves, twigs, etc. However, aeration and water logging is a major problem in this method. Therefore, most farmers do not prefer this method of composting. When tanks are prepared, there must be enough holes to aid excess water drainage. The bedding for the earthworms generally comprise of saw dust, sand, broken pieces of bricks and soil. The worms are first released into the bedding followed by the feed material. The depth of the feed material must not be more than 2 feet deep. For the initial 2 months, the tank must be sprinkled with water from time to time and it should be well-aerated. The weight, size and cocoon producing capacity of the worms increase and is at optimal level when the temperature, moisture and organic matter content are at optimum. It has been observed that a kilogram of worms can convert 25-45 Kg of wet waste on weekly basis. In other words, there can be a compost recovery of at least 25 Kg per week with a kilogram of worms that number to about 1000 worms. They can produce 2000-5000 cocoons on weekly basis. The incubation period of the cocoons is 2 weeks and their rate of survival is 60%. They are sexually mature within 6-8 weeks. In case of optimal growth conditions, the rate of growth is very high. The mature worms lay eggs at an interval of 7-10 days. They produce 247 worms annually. It is observed that 1 Kg of earthworms multiplies to 20 Kg within 4 months! Compost Material: The compost material must be purely organic. It must be devoid of materials like glass pieces, stones, ceramic pieces, plastic, etc. Loading: The vermicompost heap must be filled to the right quantity. It should not be overloaded as overloading causes accumulation of gases and increase in temperature. This would affect their growth and population. Drainage Channel: There should be a provision for drainage around the vermicompost heap so that there is no water accumulation. This is especially important during the rainy season. Addition of Acidic Substances: Acidic substances like citrus must be avoided. If added they should be added only in small quantities as these acidic substances affect the pH balance of the compost. Water Stress: Both dry spell as well as too much water can kill the worms. Therefore, the compost heap must be sprinkled with water daily during summer. The beds must be moisture every alternate day during winter. Covering the Beds: The vermicompost beds must not be covered with plastic sheets or tarpaulin. This would lead to accumulation of gases and also increase the heat inside the bed which can be detrimental to the earthworms. Protection from Pests: No specific diseases can affect the earthworms. However, they must be protected from pests like rats, termites, birds, ants, etc. For protection from ants, termites and rats, the vermicompost site is sprayed with 5% neem based insecticide before the heap is filled and worms are introduced. The heap ca be covered with a net to protect the worms from predators like birds and pigs. The complete decomposition of the compost takes about 100 days in case of ideal conditions. On an average, a single tank can be used for composting at least 4 times a year. Once the compost is ready, the residue is black in color. Few days before harvesting, stop watering the tank. This helps the worms to migrate to the bottom of the bed. Then the compost is removed and heaped outside on a plain surface. Worms if any in the collected heap, gather at the center of the heap. These can be picked and transferred to the tank. The compost is then sieved through a 3mm mesh and spread for sun drying. These are later packed. The sieving process helps retrieve unhatched cocoons that can be transferred to the tank. The worms that are retrieved can be used in a new tank. Some farmers dry them under the sun and make vermi-protein. On an average about 1700 Kg of compost can be obtained. Vermicomposting is an excellent source of alternate income for farmers. The compost after drying can be sold. 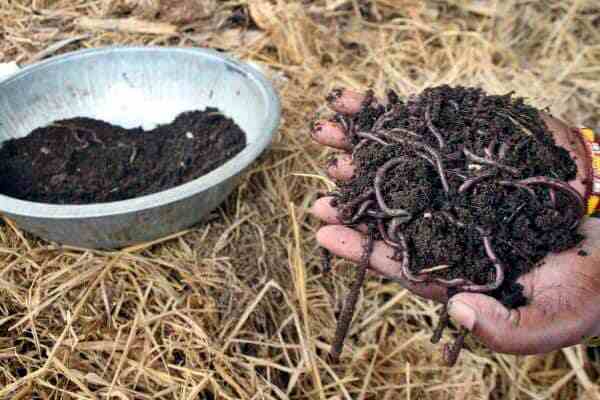 Similarly, the worms can be sold to other farmers who are looking to start vermicomposting in their farms. It is a good thriving, all-season business for entrepreneurs that involves minimum investment and labor but maximum benefits.